Here is a sweet and easy idea to use up your small small scraps of patterned paper to create a card. Are you wondering how to adhere glitter to an intricate die cut? For many people the ocean brings them a true sense of peace. 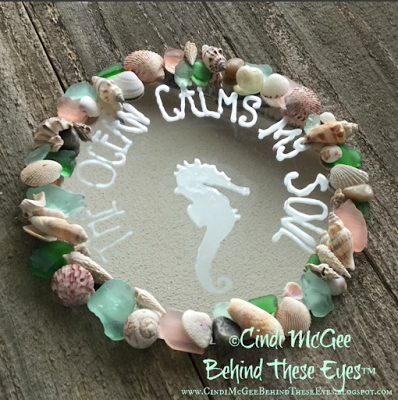 When I found this verse I knew it would be perfect to create a small decorative mirror to hang in a beach cottage, or at home, as a reminder to “reflect” on the calming effect of time spent by the ocean. As designers ourselves, we love it when a designer from the Arts & Crafts industry develops a successful program that becomes part of a well known manufacturer's product line. Many of us have known Rebekah for many years and we are thrilled about her success. Honored to call her "friend" we are excited to share her new line of product, which is now part of the therm-o-web® family. 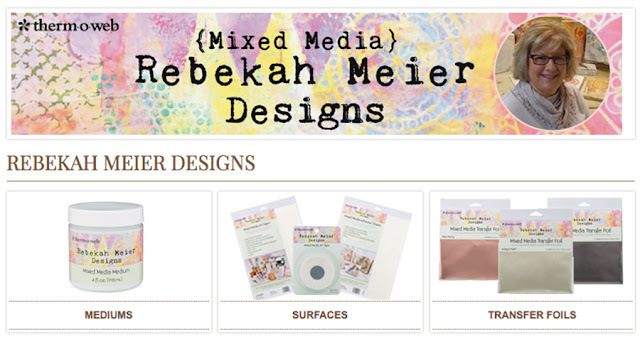 Although many of us have enjoyed working with her product in the past (please see last year's Fabric Elements blog hop), six of our members, known for their creative talents in the area of mixed media, were selected for this one. Enjoy! Summer time brings lots of parties and I never like to go empty handed. Bringing a small hostess gift is always on my list and something handmade is always appreciated. 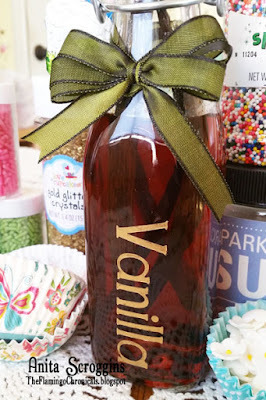 Every hostess would love to receive a beautiful etched jar of homemade vanilla. Learn how easy it is to etch glass in my simple tutorial. Use your fabric scraps to create this layered flower cuff. I'll show you how with an easy step-by-step tutorial. It's really easy and fun to create colorful, whimsical art on canvas paper with water-soluable art crayons. 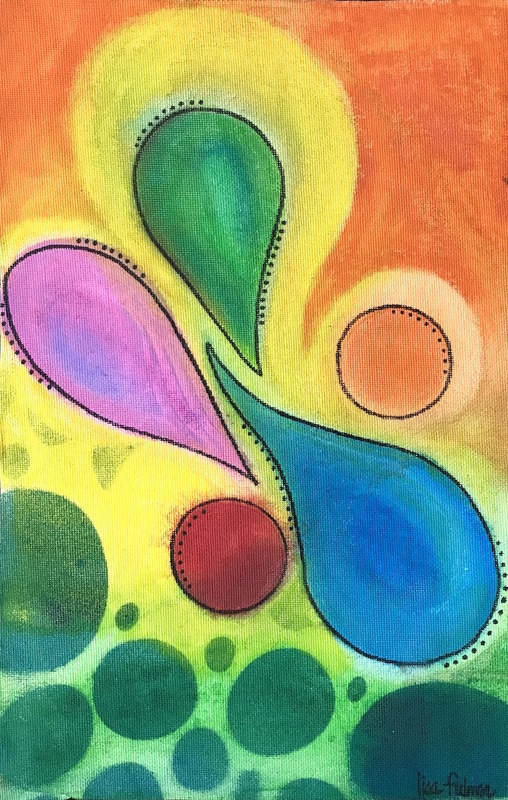 For this mixed media painting, I also spritzed through a stencil with art spray and I added accents with a black paint marker. I call this piece "Happy Thoughts." 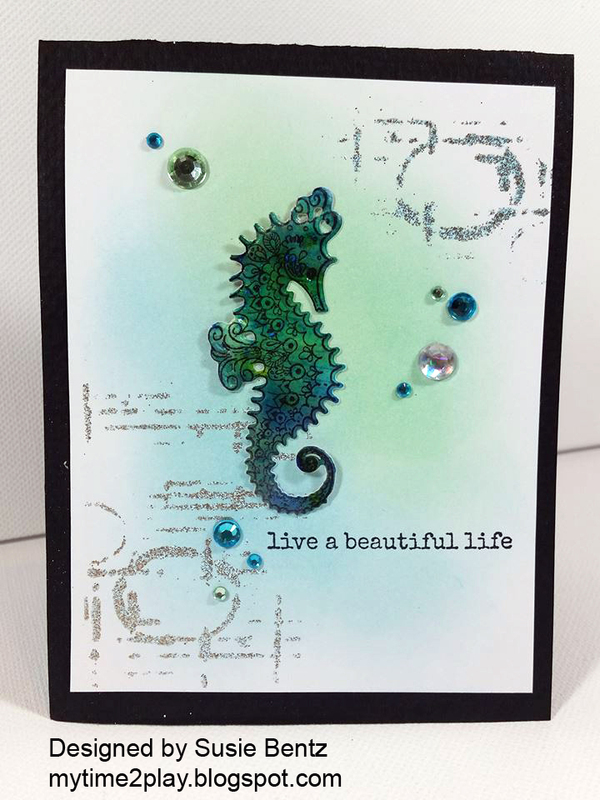 I always try to have a few all occasion cards on hand and this time of year I am inspired by the beach or anything to do with the ocean. I like a CAS (Clean And Simple) style, but I also enjoy playing with techniques. This card comes together with a few simple techniques - stenciling, heat embossing and die cutting. Celebrate summer all month long with this fun and festive beaded firework hair clip! Real succulents are amazing, and since they need little care and thrive in hot and dry areas, they are awesome for making wreaths, planting in unexpected containers, etc., but this wreath can also be taken inside and used throughout the winter months without worrying about watering, temperature fluctuations, etc. 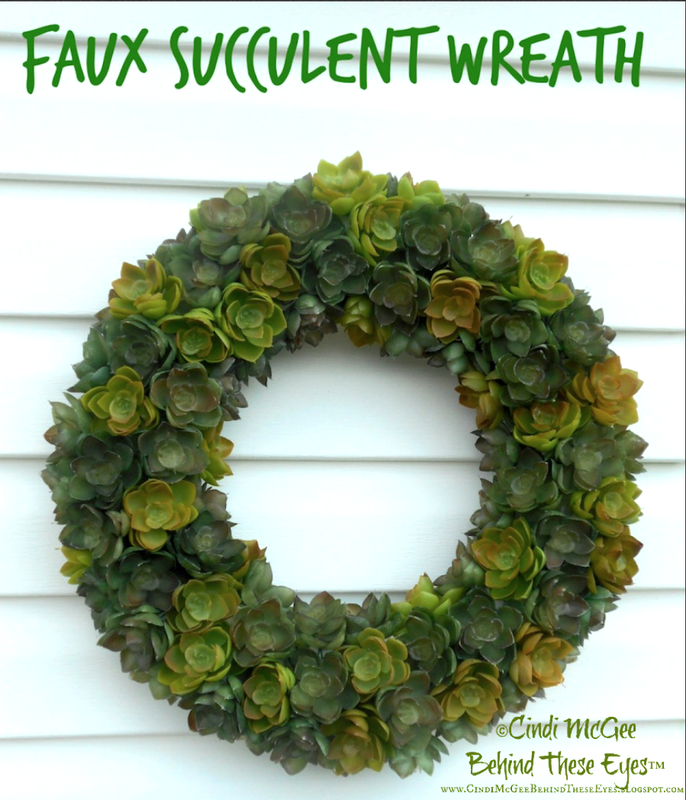 Right now the chain craft stores have awesome faux succulents available, so make your wreath now, or watch for those clearance sales at the end of the season and make yourself one for next spring & summer!